Handling Tips: Keep cold. 32°F. 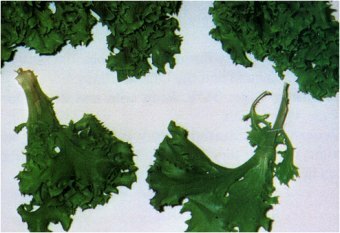 General Information: This ruffled, green leaf lettuce is a great addition to any salad, or makes an attractive garnish. The texture is soft and the flavor rather smooth. Works well with most all lettuce as its appearance is distinctive and the flavor is most compatible.